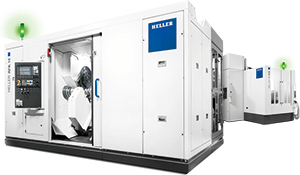 Smaller batch sizes, shorter lead times, complex components, optimised per-piece costs. To compete successfully, these are the challenges you have to meet. We therefore safeguard our customers‘ success by making sustainable investments in efficient complete machining. This success is based on machining centres and modules that can be used efficiently, flexibly and productively throughout their service life. 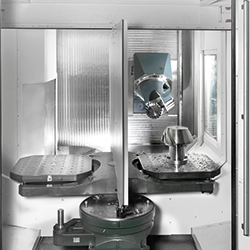 4-axis and 5-axis machining centres, mill/turning centres and flexible manufacturing systems - comprising machining modules, process and special-purpose machines - create the basis for the solutions to meet tomorrow’s challenges. 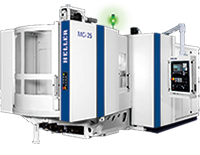 A multitude of possibilities to respond to individual customer requirements: machines with pallet-changer and table loading, 4-axis machines with a 5th axis provided by the tool or workpiece, magazines for over 400 tools, standard HELP specifications, numerous workpiece automation solutions. 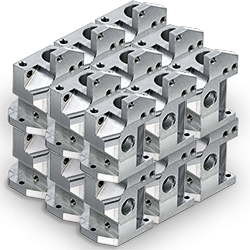 Per-piece costs are a key aspect of manufacturing concept development. 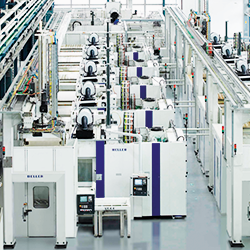 The range of applications spans from single-part through to large-scale production involving 500,000 parts per annum. The aim here is productivity and overall availability rather than maximised technical values. 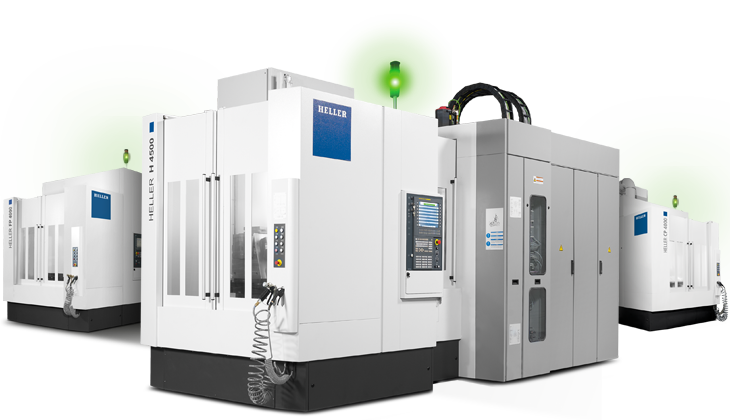 High-performance machining modules with direct loading permit space-saving linkage to highly-productive manufacturing systems. 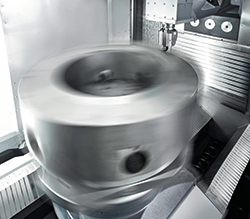 Support for optimising value creation in production: manufacturing-oriented workpiece design, improved material flow, workpiece clamping layout and handling between machining steps. Automation enables around-the-clock productivity. 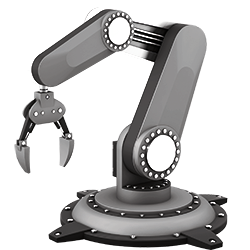 The possibilities range from various workpiece magazines to pick-and-place robots and rack systems through to automation concepts. 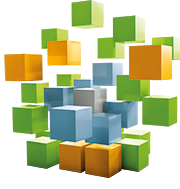 The modular range of services for maximising productivity. Comprehensive range of optimisation measures for adapting machines to meet new challenges. A cost-effective, attractive way to increase production capacity. Support throughout all phases of new project planning and modification: retooling, optimising or rebuilding machines. 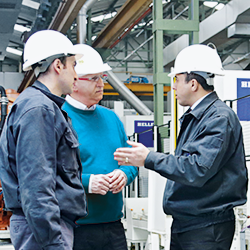 Training courses show employees how to utilise the machine’s full potential. The fitness programme for tried-and-tested machines and components for successfully meeting the latest production challenges. Investments in Lifetime Productivity at predictable costs. MORE INFORMATION? Contact us or visit www.heller.biz!